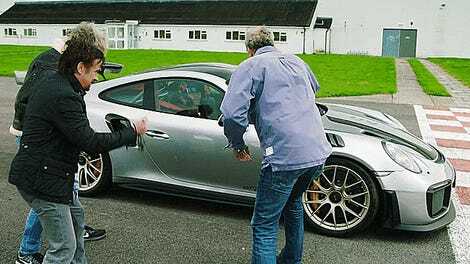 Top Gear in its prime was fantastic, but it was often full of jabs that went over the heads of non-British audiences. Jokes about cricket and someone named Wayne Rooney and 1980s Vauxhalls, for example. 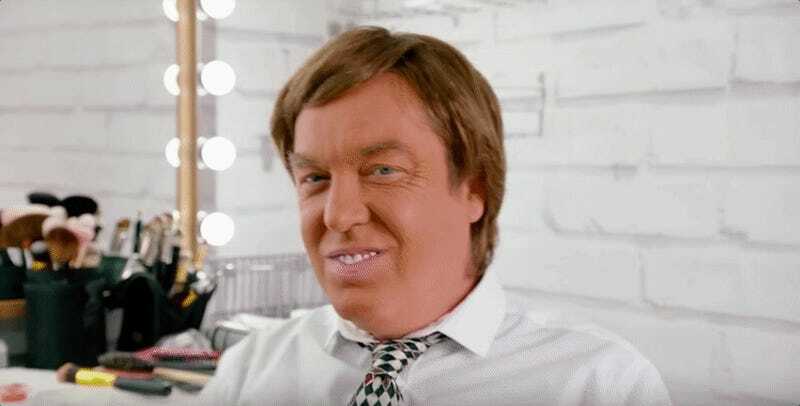 Evidently the producers of The Grand Tour decided (warm) beer guts, bad hair and bad teeth aren’t working for international audiences, so here is the result. The horrifyingly American result. The combovers. Those teeth. The... orangeness of it all. It’s as if you smashed the “Land of Confusion” video and a Trump family reunion together in a particle collider. All of it is deeply awful, and yet I can’t look away. Evidently Hammond was close enough without needing much work. The Grand Tour Season Two drops Dec. 8, but you can watch moderately unattractive real Americans do stuff in cars right now if you have Fusion TV. Just a ‘lil reminder about that.